Baildon Vets is proud to be your local vet. We live and work in Baildon and we care about getting to know our patients and their owners. We're an experienced team and we love to take our work home with us! We all have pets, many of them rescued (meet some of them below). We took over an existing veterinary practice in 2003 and four years later we expanded upstairs to create room for our state of the art operating theatre. Since then, we've updated the practice again and completely remodelled our reception and treatment areas, meaning we're now working in an attractive modern space. We try to do our bit for those animals who don't have the greatest luck in life, which is why we work closely with the local Cats Protection and Dogs Trust, as well as treating the many wildlife casualties brought to us each month. Janice was born on the island of Lewis in the Outer Hebrides and owns Baildon Vets along with Jill. 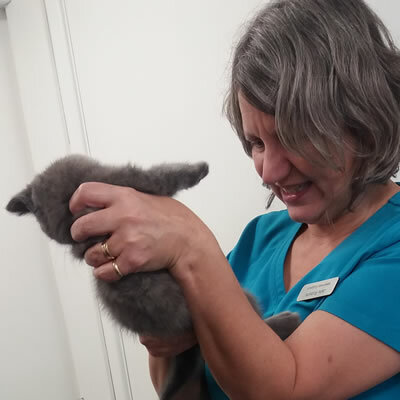 She graduated from Glasgow Vet School in 1987 and had many years of experience in small animal medicine and surgery before buying Baildon Vets in 2003. She is married to Gordon, also a vet, and they have 3 grown up children. Janice has two labradors, Dexter and Brodie, who keep her out walking every day. Her hobbies include reading, knitting, walking and running. She particularly enjoys doing flyball with her dogs, having made the finals of Crufts with Dexter recently. Janice enjoys both surgery and medicine, and loves the friendly, close relationships with the clients and their pets during consultations. Jill is head veterinary nurse and co-owner of the practice. She grew up in Baildon but now lives on a smallholding in Oakworth. Jill keeps rescued battery hens, sheep, pigs and a horse, so free time is in short supply! Jill is co-ordinator for battery chicken rehoming in the area, so if you would like to give a new life to a friendly, still-laying chicken, call in or see the British Hen Welfare Trust website. Maria was born in Czestochowa in Poland and loved animals from an early age, often taking care of homeless cats. 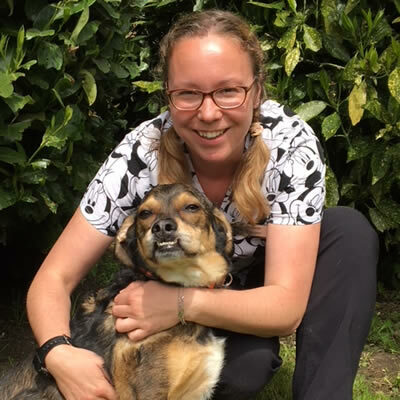 In 2001 Maria started her Veterinary Degree in Wroclaw, graduating in 2007. 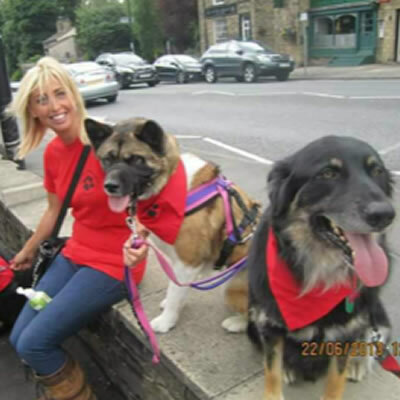 She has worked in 2 other veterinary clinics in West Yorkshire before coming to join our team in 2011. Maria loves travelling, reading and dancing. She has 2 cats, Ida and Manfred. Maria has now completed her Soft Tissue Surgery Diploma and has a GP Certificate in small animal surgery. Clare qualified from Liverpool in 1989 and has worked in mixed and small animal practice, including 5 years at the PDSA. She wanted to be a vet from a young age and loves working with animals. Her favourite part of the job is surgery. Clare has 2 grown-up children and lives with her husband and Ronnie the rescue terrier who accompanies her on runs over the moor. Jane qualified from Edinburgh in 1984 and has worked in a variety of private and charity practices over the years. 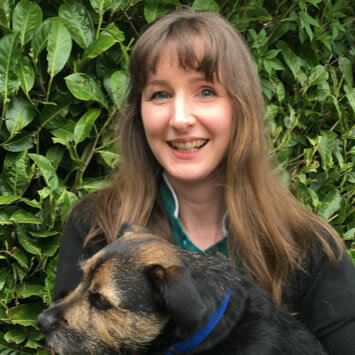 Jane started part-time at Baildon Vets in 2015. She is really flexible with her hours and ends up working more than part-time a lot of the time! She has 2 dogs (Skye and Feebee), one cat Padme and three tortoises which are likely to outlive us all! 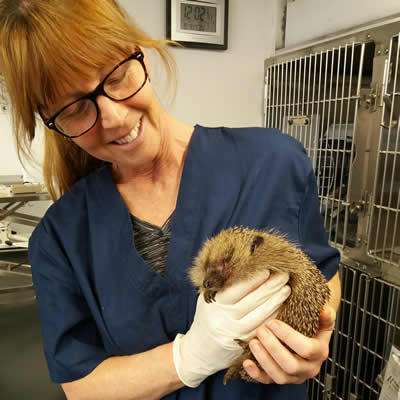 Helen first started working with animals in 1996 and then went on to become a qualified veterinary nurse in 2008. She likes walking and visiting new places. Helen has four rescue cats and have in the past has helped hand rear many kittens, puppies and wildlife. She loves animals and has always wanted to be a veterinary nurse. Claire has worked in a veterinary surgery since 1988 and qualified as a veterinary nurse in 1995. 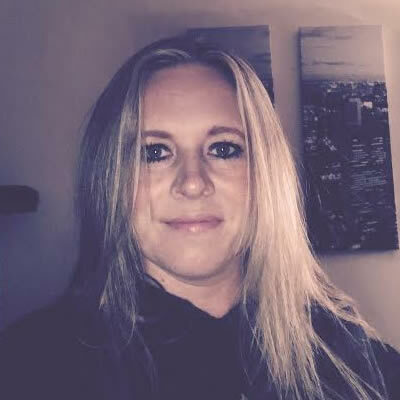 She is interested in all aspects of pet care, especially surgical nursing, dentistry and weight clinics. She has two boys and an extremely large animal family – wait for it… two dogs, three cats, six rabbits, one guinea pig and three hens (most of which are rescued). 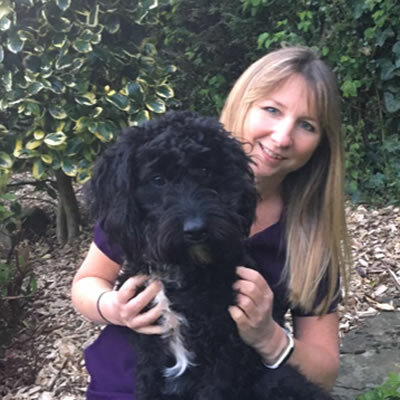 Kerrie joined Baildon vets in January 2017 having worked in veterinary practice for over 5 years previously. 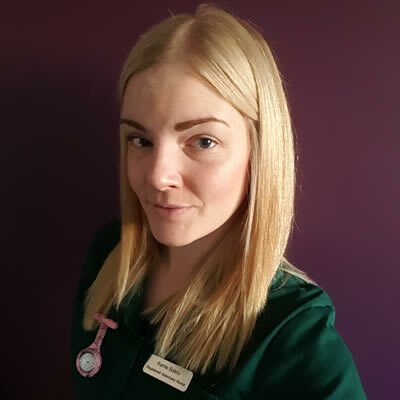 She has a cat called Maisie who came into her previous workplace as a stray needing a home – Maisie was then found to have a congenital kidney disease so is in the best hands living with a veterinary nurse. Kerrie runs our puppy parties here at Baildon vets and loves making every animals experience to the vets enjoyable. In her spare time you’ll find Kerrie out and about walking or horse riding. Sophie joined the team late summer 2017 after predominately working with charities. After completing her degree in animal management, she went to work for Dogs Trust where she adopted her dog, Cosworth. Cosworth is a collie cross spaniel with lots of energy and love. After Dogs Trust she worked for PDSA Leeds as a veterinary care assistant for two and half years. 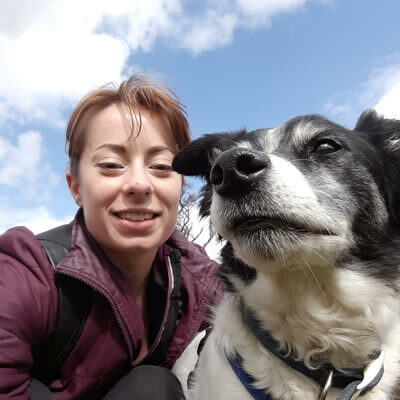 Jane joined Baildon Veterinary Centre in 2008 as a work experience student doing an HND Animal Management. We were so impressed with her that when she went on to do a Degree in Animal Management we gave her a job; initially in the evenings helping the vets and nurses. 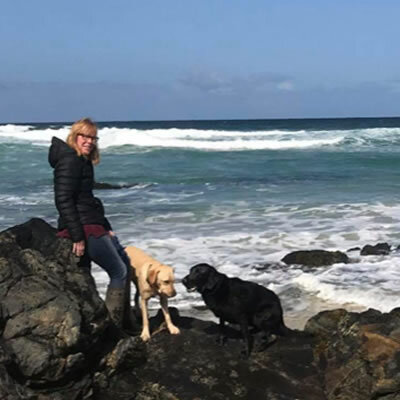 She spent 4 years living in South Africa and spent some time volunteering at a rescue centre nursing animals back to health and rehoming them which she found very rewarding and set her up for her current career. She also owns a very handsome rescue collie cross German Shepherd called Arry as well as 5 rescue cats. Shelley joined the practice in 2009, initially working part-time, mainly on reception. Since then she has moved into the role of Practice Manager. She has lived in Baildon all her life and still does, with her husband and two children, two cats, and Molly the dog, who some of you may have met as she accompanies Shelley to work most days. In her spare time Shelley loves to go on long dog walks, run and go to the gym. 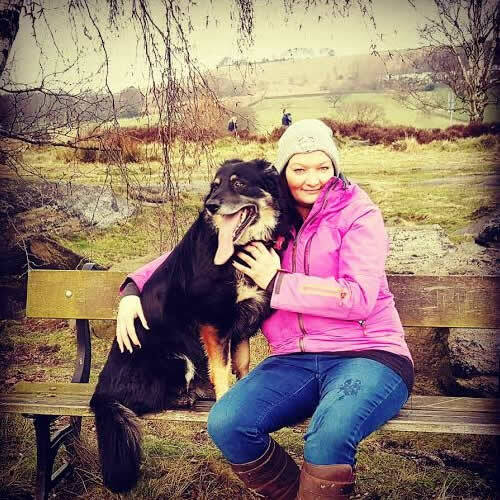 Clare has always loved animals since starting horse riding at age 5 and spent all of her childhood at Baildon Moorside Equestrian Centre. 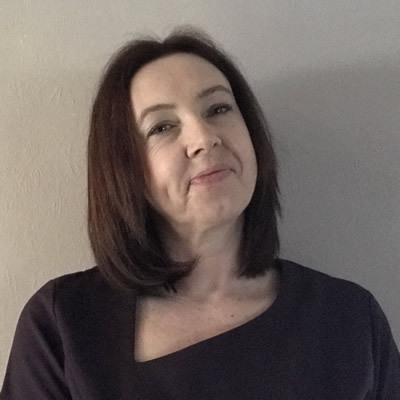 After a career change Clare joined the practice in January 2018. She has a 16 year old cat called Billy who due to having asthma has been a regular visitor here over the years , she also admits he is thoroughly spoiled and makes him a roast chicken whenever he is under the weather. She has always had a great love for horses and has been a keen horse rider since the age of 5. In her spare time she enjoys walks on the moor, growing plants for her garden and making home cooked meals . Isobel began work experience in 2015 whilst studying for her GCSEs. She now works two evenings a week and absolutely loves it. 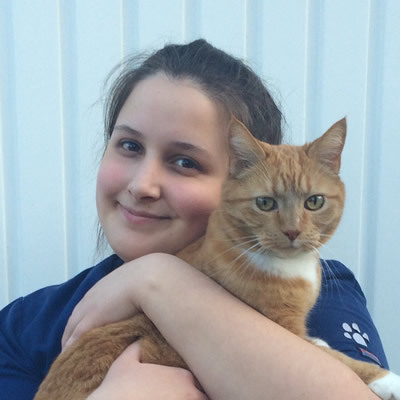 Currently studying for her A levels in maths, biology, chemistry and geography; Isobel hopes to pursue a career in veterinary medicine. In her spare time she enjoys dancing, baking and playing with her two cats, Thomas and Alex. I would highly recommend this practice anytime all staff are absolutely amazing and I can’t thank them enough for the dedication given into helping my dog through his life.